Despite the uproar that arose over Saulius Sondeckis, Donatas Banionis and Vincentas Sladkevičius' potential collaboration with the KGB, it would appear that the impact of collaboration with Soviet intelligence accusations have weakened with the public. Furthermore, the image of the agent as a morally ruined person is vanishing. Historian Saulius Grybkauskas observes such trends and proposes to view the Soviet regime and its actions as a complex problem which does not fit under just the topic of betrayal. At the same time he raises the question, why the collaboration of some is disregarded, while that of some who were more successful is emphasised. Last Saturday the Lithuanian Genocide and Resistance Research Centre (LGGRTC) concluded the publication of the agents' archival personal files journal. It turned out from it that the National Culture and Art Prize laureates, actor D. Banionis and conductor S. Sondeckis were recruited by the KGB during the occupation years. The list also contains Cardinal Vincentas Sladkevičius, who was removed from the list in a year and exiled to a remote province. "In terms of being in the lists, we should look at each case individually, every context, circumstances. There are tales how people were recruited, but would reveal it, let others know they are recruited, would not betray anyone or would provide third rate information," the head of the Lithuanian History Institute 20th Century History Department S. Grybkauskas said. On the other hand, he notes, the KGB agencies were also different – the fifth department's agency worked with culture, education and science staff, performed ideological counter-espionage. Another matter is in industry. "Imagine, during the Cold War agents work in a nuclear power plant with the goal to find out whether the building was constructed with quality, whether no technological accidents will happen. Thus the agent provides information about technology, whether the construction crew is building correctly, whether the piping is good," the historian urges to understand the variety in cooperating with the KGB. According to S. Grybkauskas, this all could be viewed from a different moral perspective. Sometimes company management would have had agents who would aid the company through the KGB – for example negotiating for smaller plans, proving that they are unrealistic. This would only help the staff. However a completely different matter is spying on individuals, stalking them. At the time of the Cold War technological spying during foreign trips was mutual. One thing is to follow someone during a trip, another is to reveal what you spoke of during a conference. This, the historian says, is two different matters which should not be confused. "The whole kgbveikla.lt project is essentially intended to reveal all those who secretly cooperated with the KGB, though for me what is more interesting is the KGB activities documents in it. It can be seen that this is done because problems with lustration have arisen, in the lack of detailed material which proves collaboration. At the same time it would appear to be a way to nudge those who collaborated, but did not confess based on the current regulations," S. Grybkauskas commented on the list released by the LGGRTC. In his opinion, a major stumbling block for lustration is not just the lack of agency files remaining in Lithuania or obstructions by some sort of former Soviet figures, but also the unwillingness of those who fought against the regime to publicise. Then, the historian points out, it would turn out for the public and would be especially exaggerated by the media that the very closest people to those who fought against the regime were KGB agents. According to the commentator, even such "selective" publication is beneficial though on the other hand it can raise questions whether some are to be included, while others are "waited for". Meanwhile the media also speaks louder of some – S. Sondeckis, D. Banionis – while only making passing mentions of others – V. Sladkevičius for example. "Overall this KGBisation does not appeal to me much – as a historian it obstructs work – much uproar, it stops sitting down at those questions calmly, figuring out how the regime worked. Certain files are shut away from historical research – they can only be accessed by prosecutors, the Genocide Centre, however they cannot be accessed by university scientists, historians," S. Grybkauskas highlighted the problem, questioning when the "classified" files will become accessible to researchers. The historian is interested less in names and more in the processes, the system, wishes to look into the question in more depth. According to S. Grybkauskas, despite the current uproar over the collaboration of famous culture figures with the KGB, from the public reaction and at the same time the Genocide Centre's explanations it would appear that the impact of collaboration with Soviet intelligence accusations have weakened with the public, meanwhile, the image of the agent as a morally ruined person is becoming dubious and unjustified. According to the historian the Soviet regime and its actions, personal relationship with the government and the system (nut just with the KGB) need to be looked at as a complex problem which does not under only the topic of betrayal. Nevertheless the list published by the LGGRTC presents him questions. "If I was a journalist I would ask, for example, what of Adolfas Ramanauskas-Vanagas – was he an agent or not? Soviet intelligence itself identifies him as agent Ragelis, historian Darius Juodis says he was recruited. If Soviet intelligence claims that he was an agent and view him as a former agent, we can ask, should he not be on the list? After all the published list also has such "formal" agents, who never betrayed anyone and instead acted against the Soviets or at least not as the Soviets. A question of selection arises – is it not that for some who reached more during the Soviet era, their cooperation is emphasised, while with others there is an intent to silence it, not emphasise or not involve it. What selection is going on?" S. Grybkauskas asks. "I believe that the lustration process is not complete in Lithuania because this list is just a part of our work which is reflected in the website kgbveikla.lt. (...) We have a number of work areas, the lists of all of Lithuania's cadre officers in the past 20 years are published, there is this journal, other materials, which illustrate one or another activity," LGGRTC director Birutė Burauskaitė explains. Up to the end of the year there are plans to conclude the publication of the agents' individual activities' agency reports. The website kgbveikla.lt has released 1669 names of KGB collaborators, another 1600 confessed on their own and are classified. However how many are there that we do not even know of? "I do not believe there are many of them. I think the mentioned number of 100 thousand throughout the occupation was somewhat large. Rotation occurred, some were recruited, did nothing, and thus were removed from the list. There are tens of registration journals, even in 1991 some people were recruited. They did not work equally, they appear in the documents and there were 5-8 thousand active agents on the eve of independence, but I am inclined to say about 5000, the head of the LGGRTC said. According to her, too brief a window was left for confession – only half a year. Some people found out too late. B. Burauskaitė highlighted that many teachers were recruited in the countryside, rural areas – they were tasked with monitoring young boys whether they do not plan to enter the seminary. During the rebirth years there were efforts to destroy the files, a part were transported to Russia. And not all of those who confessed were real colleagues. "Almost 1600 came to confess, however they were not all recognised as collaborating agents. A number of those who confessed simply had certain contacts, they thought that they were registered as agents somewhere. Most of those who came to confess said that they felt they had taken a load of their back, a stone off their soul," B. Burauskaitė said. 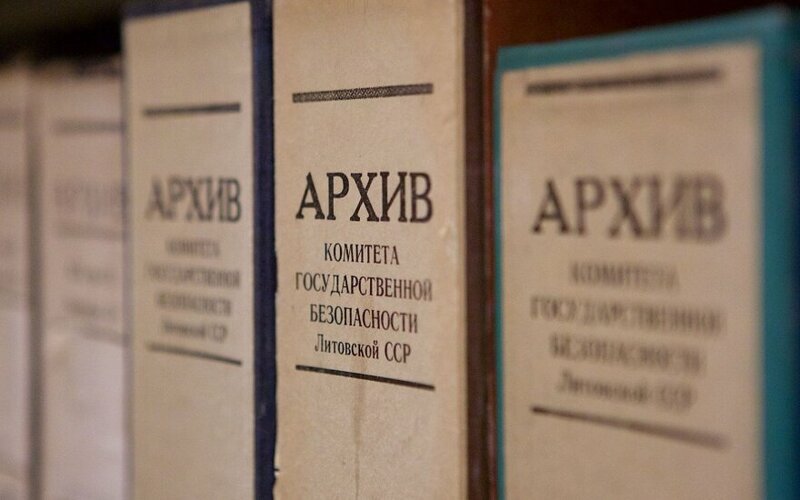 In terms of S. Grybkauskas' question on files that are inaccessible for historians, B. Burauskaitė says that only classified files are inaccessible – those of individuals who confessed their cooperation with the KGB. Their files can only be reviewed by prosecutors who have permits to work with classified information and only when a court case has been raised, also such permits are available for several staff of the centre. The files are to remain classified up to 2075. Why was information about S. Sondeckis, D. Banionis not revealed earlier when they were still alive? B. Burauskaitė says that during investigations of the list the historians did not review whether the individuals are alive or not. In other words they had no intention of primarily releasing a list of those still alive. Lustration is painfully proceeding everywhere and the further East, closer to Moscow, the more complicated and less open it is. If you look at what is happening with, for example, individuals who collaborated during the Nazi period, it is still ongoing despite the Nazi defeat in 1945. It is obvious that since the Soviet period lasted longer, generations lived in the Bolshevik regime for decades, more harm was done and such cleansing as happened after Nazi Germany did not proceed – a larger territory was taken, everything lasted longer," conservative MP Rasa Juknevičienė commented on the duration of lustration. In her opinion the main issues is that upon the reestablishment of independence, not all came forward to confess and helped the state cleanse itself. According to the politician, the process of lustration proceeded with difficulty in Lithuania, much opposition was met: "I remember well 1991-1992, when the first lustration legislation was presented, there was massive resistance from the left, the LDDP, likely because there were more people there who were touched by the Soviet regime. In 1992 when Algirdas Brazauskas' LDDP came to power the process was halted, was later resumed, and then halted again. Whenever pro-Russian forces win in Lithuania, such things are halted." Meanwhile the information on S. Sondeckis and D. Banionis was of little surprise to the MP. "The recently revealed individuals did not surprise me to a great degree because for example S. Sondeckis was in the list of those who organised a referendum against NATO, D. Banionis perhaps less, but he was not a person of the Sąjūdis. But I certainly would not be able to blame or patronise – I view the Soviet period more as a period of the destruction of people's fates," R. Juknevičienė said. According to her no-one knows how life would have turned out for youth commenting these processes today.